Q. Can I save money by repairing my own system? A. It depends. Even the best lawn sprinkler systems need sprinkler head adjustments from time to time. Remember, product cost is only one part of an efficient irrigation system. 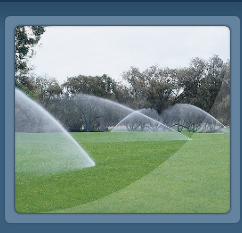 Many people choose to hire an experienced professional irrigation contractor who will bring years of experience designing and installing the most cost-effective and efficient irrigation systems. Lawn sprinkler system contractors have also invested heavily in specialized installation equipment to help speed up the job and many have gone through detailed training courses and certifications. Q. I have decided to hire a lawn sprinkler contractor to install the system, how do I choose the right one? A. If you decide to hire a professional irrigation contractor, here are some tips that will help you select the right contractor for the job. Start by seeking examples of recent work performed. Always ask for references and proof of both workers comp and liability insurance. If their insurance companies can not provide a recent certified copy of proof of insurance then you need to look elsewhere for another company. Q. How much does a Low Cost Sprinkler system cost? A. 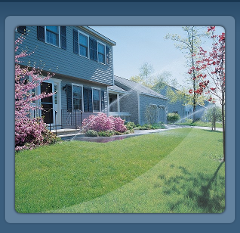 Even the best lawn sprinkler system and individual lawn sprinklers used can vary greatly from property to property. We always need to look at each respective property to give our best educated answer and pricing. From type and size of lawn areas, planting beds, flowers and shrubs, all these different areas require different types of watering and designs. At the end of the day we try to offer a basic system and design for most homeowners. 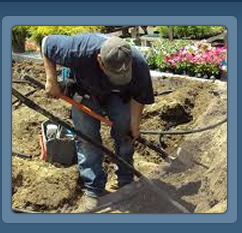 Normally a small basic introductory lawn sprinkler system can start around $1,500 labor and materials. Separate plumbing installation, secondary water meter, and necessary permits costs vary from town to town, we will provide pricing at the time of estimate. Before any contractor can present you with a bid, they must do their homework. This includes coming to your property, meeting with you face-to-face, surveying and sketching out the property, locating the water source, taking a read of the water pressure and finally, understanding your needs and what you want to accomplish. 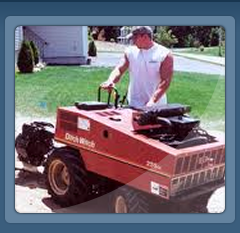 Experience does count- No matter the size of the lawn sprinkler system project. If you are not completely comfortable then keep looking for another company. At the minimum always ask for recent references from projects that were recently completed. It is not always about price- As much as possible we always try to offer the best lawn sprinklers with a Low Cost installation of your properties sprinklers. Lawn sprinkler pricing should not be the only deciding factor. A company that offers the cheapest and a significantly lower cost does so by cutting corners. This is done by using less quality materials and products with out a long term warranty. We have also seen other instances where other companies have not pulled the necessary permits and licenses for the lawn and garden sprinkler systems. These range from a basic plumbing permit or secondary water meter permit required by certain towns in Massachusetts and New Hampshire. Make sure you have selected a contractor based on their service, design plan and ability to install the system properly.